Never underestimate the power of the internet. The dankest of dank Sonic memes, AKA Sanic, has finally evolved past what any of us can control: Sanic is officially a part of the Sonic games. Well, sort of. 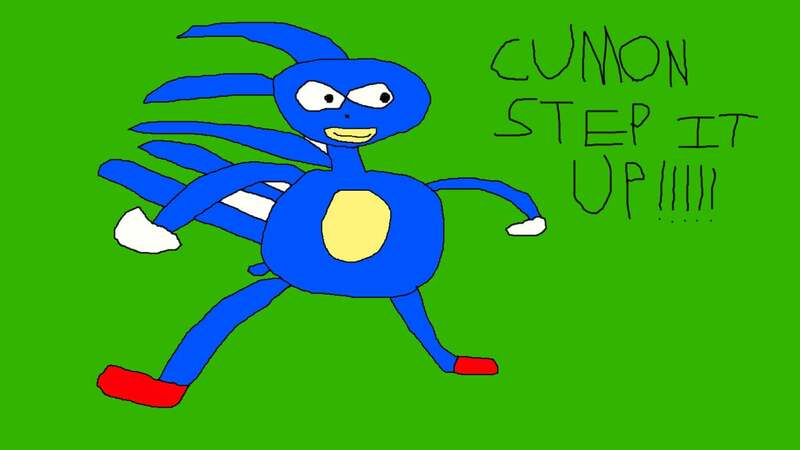 The 2010 Sonic illustration from YouTuber 0nyxheart started it all and our nightmares have been fueled ever since. The interesting interpretation, which can be seen in the image above, has spun out countless of memes and other spin-offs throughout the years. The creators behind Sonic Forces decided to just roll with it, and a new free t-shirt commemorating this legend has been officially added to the game. The t-shirt itself can be used for players to customise their avatars. Not meaning to crush your hopes and dreams, but you can't actually play Sanic, but at least you can rep this unique piece of art on your pixelated apparel.